We offer Refrigerated CentrifugJ is microprocessor controlled system to Make operation automatic with programmable memory with tamper proof facility. Acceleration deceleration profiles available. 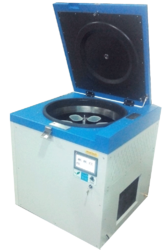 Owing to our proficiency in this domain, we are providing our clients an optimum range of Blood Bank Centrifuge. 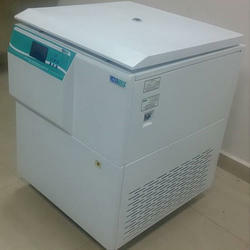 Our technical expertise enables us to supplier and exporter high quality Blood Bank Refrigerated Centrifuges. The offered product is manufactured in compliance with international quality standards using excellent quality raw material and modish tools. The offered products are extensively used in numerous industries.